Crafters enjoy using a crafters foil to create end products, with a similar technique as pewter. The end product is not the same as pewter, but cheaper medium to play around with when you would like to experiment. 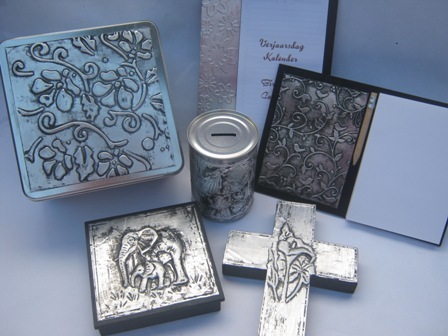 The foil can be pasted on wood, metal, glass, candles and most other art products.